Are you looking for a graphic artist or 3D rendering modeling design for your Little Rock, Fort Smith, North Little Rock, Fayetteville or Springdal, AR business? Capital Exhibits would be proud to offer Arkansas AR 3D rendering modeling design and graphic design services at high quality at competitive rates in the state of Arkansas AR. Since 1994, Capital Exhibits has been a leader among top graphic design companies in the nation. 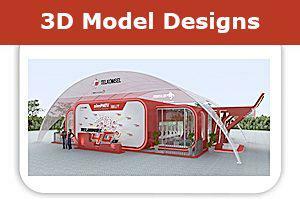 We are your source for trade show booth concepts, as well as the graphic design images and advertising that make them effective. We are pleased to be able to perform a large portion of the work in-house with professionals who take the time to represent you in a way that gets results. Our educational backgrounds involve top graphic design trends and techniques, and that knowledge of the visual and how it’s perceived works well for branding design and business graphic design. 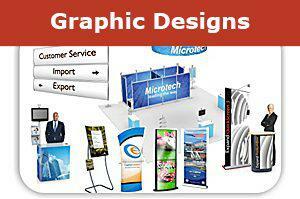 We recognize that trade show graphic design encompasses a wide range of products and accessories. At Capital Exhibits, you have the option to keep it simple with an efficient tabletop design and some tee shirt offerings, or you can go big with 50-foot trade show displays, kiosks, hybrid displays, banner stands and so much more. We manage our operations in a way that gives you reasonable and competitive graphic design quotes and rates, not to mention unbeatable quality. Two of our top priorities are speed and efficiency. You can order from the most amazing banner design artists, but it’ll all be for nothing if you don’t have the display on time. We make a point of delivering your items to you within a matter of days, which will maximize your overall return on investment. Whether it’s a small order for brochure design work or a sizable graphic design contract for a year’s worth of trade shows, you’ll have it when you need it with Capital Exhibits. Sometimes, clients are looking for a temporary display that requires no storage and minimal investment. In this case, Capital Exhibits is happy to recommend one of our rental displays and accessories. This is a great way to enjoy our exhibition and fair graphic design packages without a permanent commitment to a product you may only use once. It’s also a great option for those doing a show far from their headquarters. From top to bottom, Capital Exhibits delivers Arkansas AR professional 3D rending modeling design & graphic design services at the best ideas at the most competitive prices. Your Little Rock, Fort Smith, North Little Rock, Fayetteville or Springdal company will be able to make the most of your time as a trade show vendor and develop a relationship with a leader among graphic designing companies. Contact us today to learn more!